Robert P. Rowe Jr., of West Palm Beach, FL, passed away November 8, 2014. 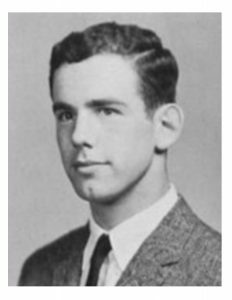 He is survived by his family, including brother Richard Rowe ’66. Daryoush Farshid Hakim passed away on May 18, 2017 at the age of 84. He died at Yale New Haven Hospital surrounded by his loving family after a brief illness. Farshid was born on December 17, 1932 to Reverend Jollinous and Badieh Hakim and was the youngest of four sons. He attended grammar school in Tehran, Iran and graduated from Williston Northampton School in Easthampton, MA. He attended the University of Georgia where he earned a degree in Agricultural Engineering. After graduation, he returned to Iran and married his wife of 56 years, Faegheh (Fae) Hakim. Subsequently, he completed his studies at Princeton Seminary. Farshid worked as administrator of Iranzamin – Tehran International School. In Iran, he was an active member of the Evangelical Presbyterian Church of Tehran and the Rotary Club International. In 1979, Farshid moved his family to Cheshire, Connecticut. He quickly became an active member of the Cheshire community, joining the local chapter if the Rotary Club and the First Congregational Church. Initially, he worked as business manager for the First Congregational Church of Waterbury. He then worked for the Presbyterian Church USA as a missionary, assisting Christian refugees during their transition to life in America. After his retirement, he remained active by helping students at Cheshire Academy Health Center with their transportation needs. For the last few years, Farshid was an active congregant of the First Church of Christ, Wethersfield. Farshid served more than 50 years with the Rotary Club International. During his tenure in Cheshire, he served in many roles, most consistently as the coordinator of the Scholarship Committee. He was awarded the Paul Harris Fellow for his contributions to the Cheshire organization. In 2014, he received the Rotary District Governor’s Citation for his service. A man of great devotion to the Lord, he faithfully served in several roles, including Deacon, Trustee and numerous boards and committees at all churches he attended. He, along with Fae, led the Iranian Christian Fellowship of Connecticut for many years. He is survived by his loving wife, Fae, his children, son Ramin and his wife, Linda Boulanger, daughter, Noureen, his beloved grandchildren, Christian and Alexandra, and his brother, Dr. Jamshid Hakim and his wife, Margaret of Pocono Pines, PA. He was predeceased by his brothers, Houshang Hakim (Redbank, NJ) and Parviz Hakim (Tehran, Iran) and his granddaughter, Alana Saba Hakim (Cheshire). Priscilla Ruder Lucier passed away on Saturday, May 6, 2017 one month before her 85th birthday. She died in her home in Duxbury, MA surrounded by her family and friends after a courageous battle with cancer. 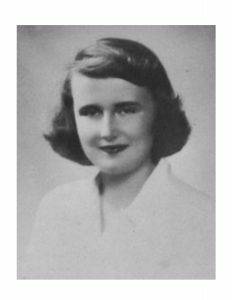 Priscilla was born in Mount Lebanon, PA, but spent most of her life in a variety of towns in Massachusetts including Woburn, Amherst, Foxborough, Easthampton, Sturbridge, Wayland and Osterville. She was deeply beloved by her husband of 63 years, Joseph L. Lucier and their four children, Daniel D. Lucier, Mark B. Lucier, Leslie L. Marino and David L. Lucier, their spouses and eleven grandchildren. She is survived by her sisters Susan G. Hull and Paula L. Cole and predeceased by her parents Carl L. Ruder and Mary R. Salmon, stepfather Edward Dwight Salmon, sister Cynthia L. Seifert and son Daniel Lucier. Priscilla was a graduate of the Northampton School for Girls as well as The University of Massachusetts at Amherst with a degree in Landscape Architecture. Her career spanned a love of conservation as well as a talent for fundraising. She worked at The Williston Northampton School, Old Sturbridge Village, Mount Holyoke College, Boston Childrens Hospital, Parmenter Visiting Nurse and Wayside Hospice and volunteered in local land conservancy organizations and garden clubs. Carlo A. Marchetti, loving and much loved father and grandfather, passed away peacefully in the presence of family on Saturday, December 17, 2016, in Springfield, Massachusetts. He was born on June 13, 1931, in Springfield, to parents Serafino and Carolina Marchetti. He was a champion of the City, beginning his professional life as a City Assessor, moving on to become a Vice President of Real Estate for the Third National Bank and, ultimately, doing the job he loved most, as Executive Director of an organization he helped create, Springfield Central. Upon retirement, he moved to Sarasota, Florida where he lived for the last 16 years of his well-lived life. 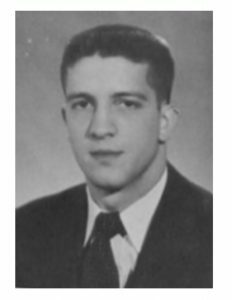 Carlo was a veteran, having served in the Marines, First Reconnaissance Company, during the Korean War. He was predeceased by his sister Esther Marchetti Ferrero and her husband Julian; and he is survived by his sister Rena Libera Jonathan and her husband Jack; his children, Carolyn Marchetti Branthoover, Lisa Marchetti Lamp and her husband Steve, and John Carlo Marchetti and his wife Karen. Carlo shared much love, joy and energy with his six grandchildren, Christopher, Nicholas, Katherine, Lauren, Alexander and Gabriel. Carlo was delighted when he was able to expand and deepen his friendships with extended family in Italy, in his later years. His trips to Italy became an annual occurrence, which he cherished. He was a world traveler whose favorite trips were those taken with family, the most recent of which was to Chicago in April of this year, organized for him by his Grandchildren. Mark R. Berman, a fixture of the local business community who enjoyed a second career as a college administrator, died at his home in Williamsburg, MA on Friday, May 5, 2017, after a brief illness. He was 65. 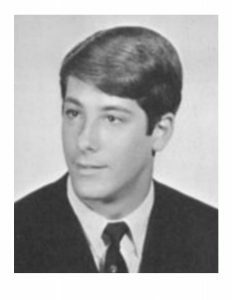 Berman graduated from Williston Academy in 1969. He earned his undergraduate degree from Syracuse University in 1973, where he lettered in men’s swimming. He obtained an MBA and law degree from Syracuse in 1976. In 1977, Berman joined the management of Yale Genton, the venerable West Springfield clothier started by his grandfather. 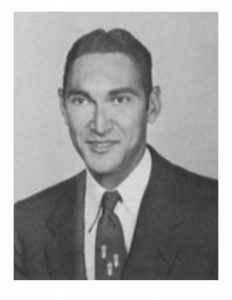 He served as general manager, vice president and eventually president of Yale Genton. In 2008, Berman followed his passion for education and joined the administration of American International College in Springfield as associate vice president for educational enterprise. He later became executive vice president for administration. During his tenure at AIC, Berman was instrumental in a number of major initiatives, including significant capital improvements on campus. Throughout his business career, Berman devoted his time and talents to a host of local institutions, including as a board member at the Clarke School for the Deaf, the UMass Fine Arts Center, the Springfield Library and Museums, and Baystate Health Systems. He was a past director of the West Springfield Chamber of Commerce and a corporator at the Springfield Institute for Savings. His colleagues and associates will remember him as a leader and mentor who was wholeheartedly devoted to the institutions of which he was a part. He was a man of great personal dignity, and afforded that same dignity to everyone he met.